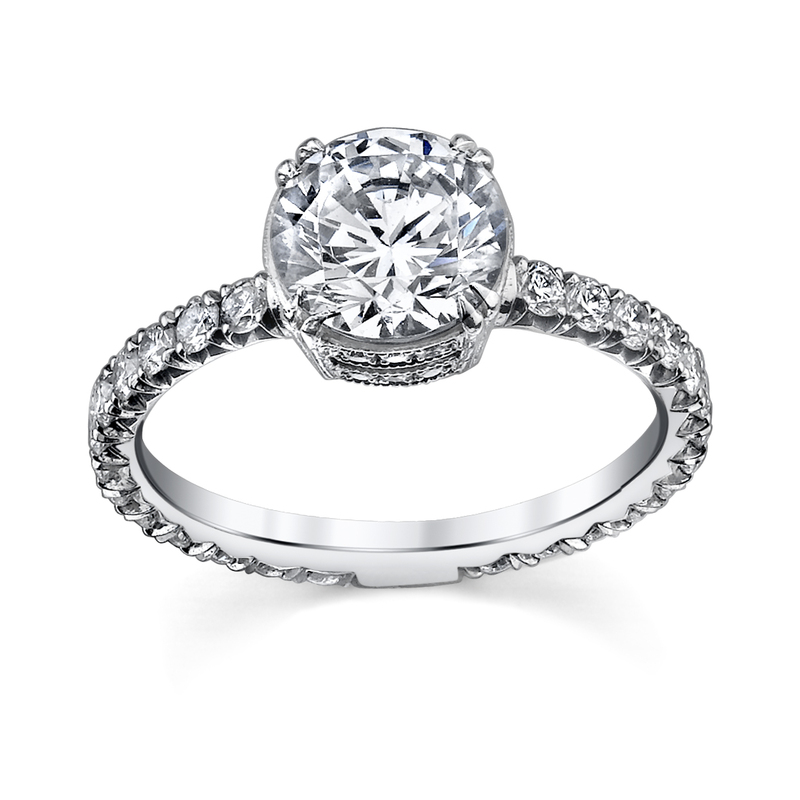 Platinum engagement ring set with diamonds on band and diamond basket. 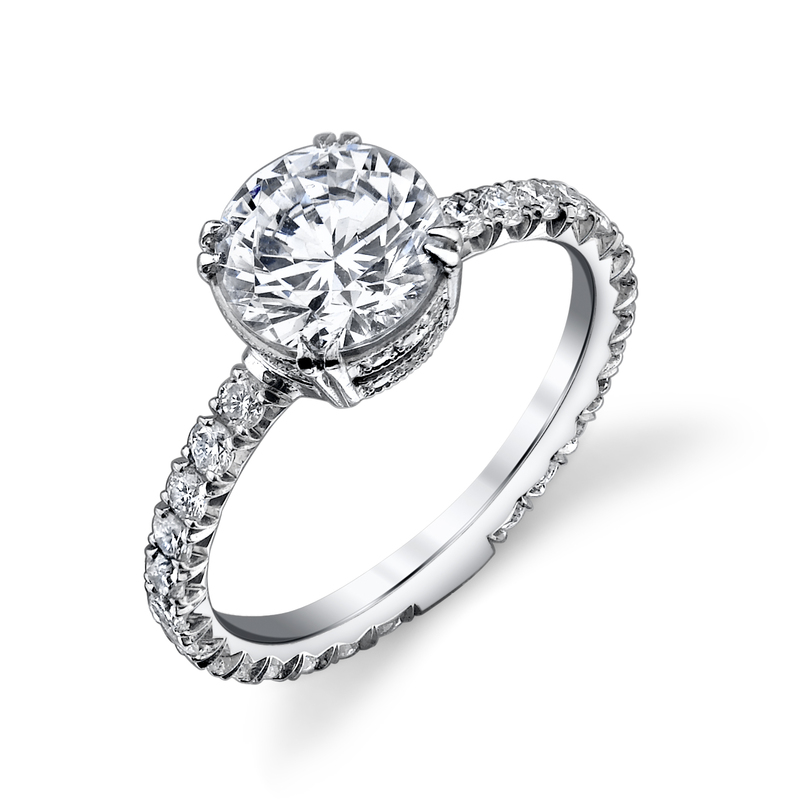 Double prong for center stone. Please note price is for setting only.